Write About - Write this conversation. Lyla looked around, trying to identify who had spoken to her. 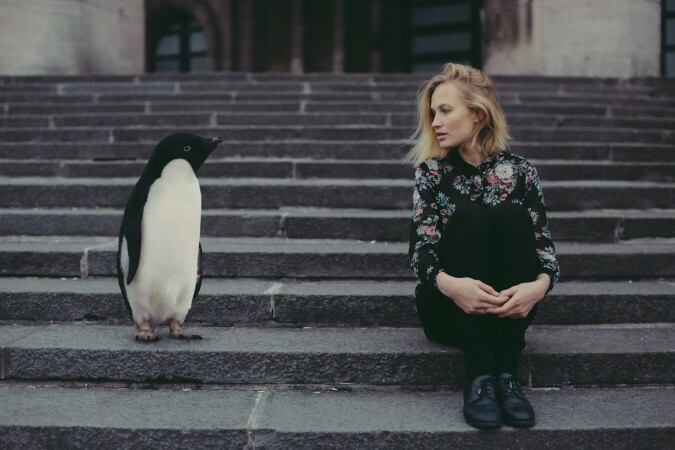 She looked straight over the penguin, not realizing he was there. Lyla looked down, and then jumped in surprise. “Yes” the penguin replied, cutting her off. “Well, it’s 1:43” said Lyla. “Okay then, Mister Penguin. Good luck at your meeting!” she shouted after him as he walked away.